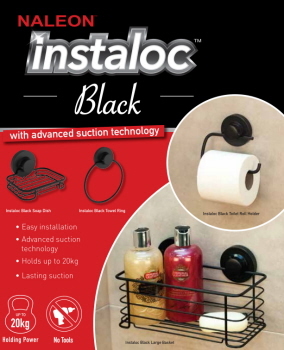 Our Instaloc Black Range products with Advance suction technology will look perfect in any of your bathroom, laundry, kitchen, office, salon or caravan. Check below our quick to install and remove products from hooks to storage basket. 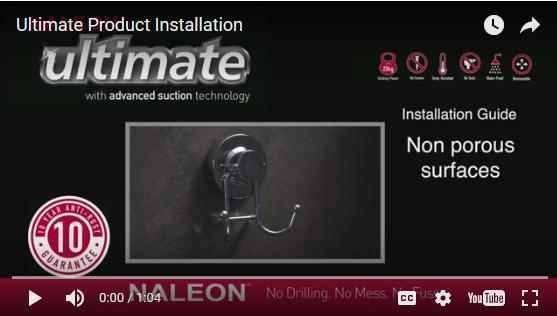 No hassle, no tools required, waterproof and temperature resistant. 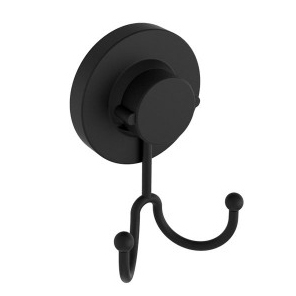 Quality powder coated finish products. 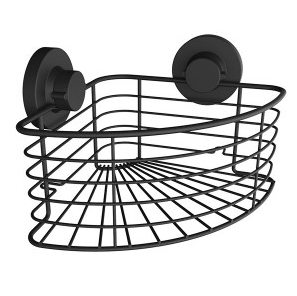 Add storage space in your kitchen or bathroom with this easy to install and remove quality powder coated finish corner basket. 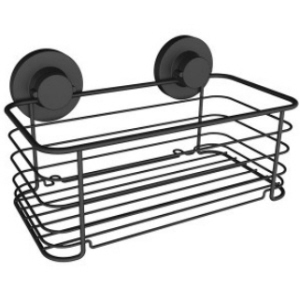 It can hold up to 20kg. 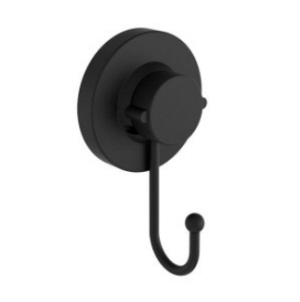 Easy to install and remove double hook that can hold up to 10kg. It can hold up to 20kg. 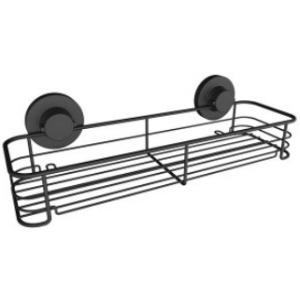 Easy to install and remove large storage basket with quality powder coated finish. 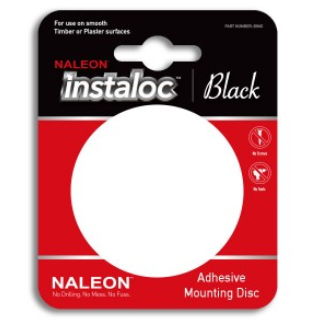 This adhesive mounting disc is for use on timber and plaster surfaces. 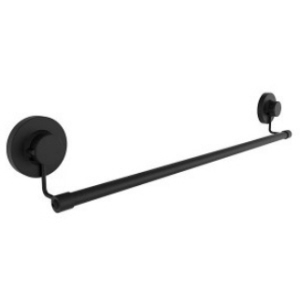 It can hold up to 10kg. Powder coated finish. 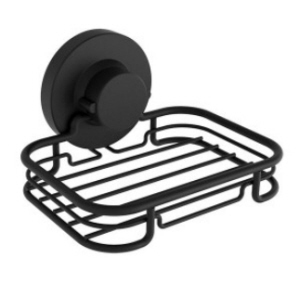 Easy and quick to install soap holder that can hold up to 10kg. 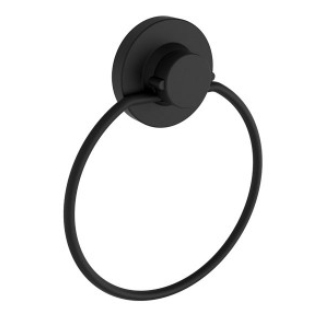 Quality powder coated finish. 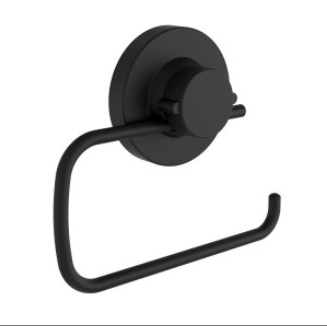 Ideal for supporting hand towels and features quality powder coated finish. It is easy to install and remove towel ring. It can hold up to 10kg. Add a finishing touch to your bathroom with this quality powder coated finish towel rail. It can hold up to 20kg.